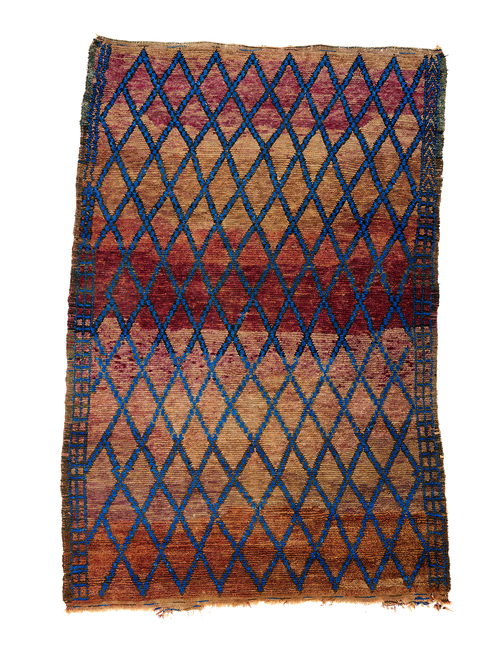 This rare middle Atlas rug exhibits a female lozenge motif in deep blue, layered over an abrashed field of plum, umber and cognac. A minimal composition with a majestic presence. Knotted around 1950.